For Rent 706-708 Darby Ct. #3. Remodeled Kitchen & Bath, 1 bedroom, 1 bathroom. Approximately 550 square feet. Off-street parking, on-site laundry, shared yard area. $75 flat monthly fee for water & gas. Within walking distance to main street. 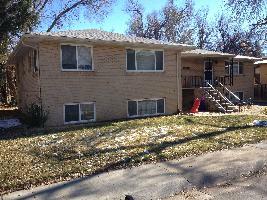 For more information, or to schedule a showing please call Point West Properties at 303-447-1502 or visit CUrent.com.